“The Quietman” Ruiz, is located inside of Gold’s Gym in Medford (4000 Mystic Valley Parkway), a suburb of Boston only a few miles from where Ruiz grew up in Chelsea and trained in Somerville. 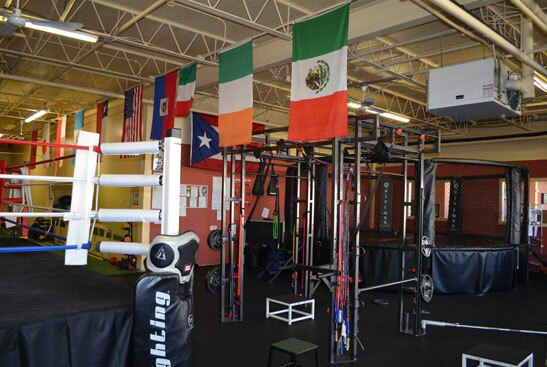 Quietman Sports Gym is a full-contact, sanctioned USA Boxing gym, featuring a boxing ring and mixed-martial-arts cage, as well as a full array of modern training equipment. The multi-fighting gym offers boxing and full-contact combat fighting classes, personal and semi-private instruction, self-defense classes, and white collar boxing in a clean, safe environment.